Thanks! Merry Christmas and Happy New Year to you, and all here as well! Membership? You mean people becoming new new members or members loggng on? Good wished for 2017 everyone. Merry Christmas and a Happy New Year to all! I haven't been on in a while, so hoping we can pick things up a bit in the new year. 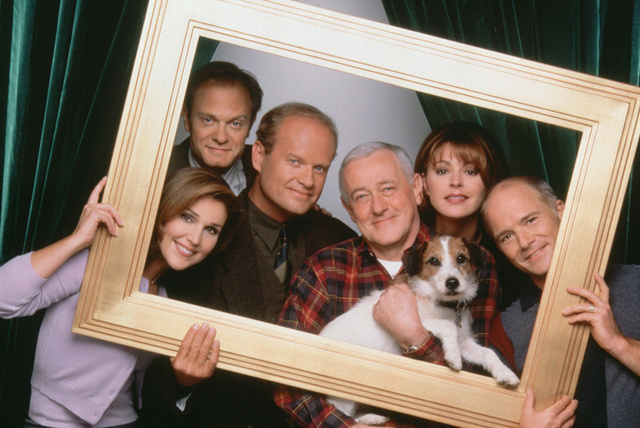 Did anyone receive any Frasier-related gifts at Christmas? I didn't, but I have been drinking sherry! Nice to see you back Goran! I've tried an Oloroso and a Pedro Ximenez (Which is deliciously sweet and sickly!). Need to get round to trying a drier one like a Fino. Cheers! Ha. I've tried the Pedro Ximenez! A friend lived in Spain for a while and bought a few bottles back with her. It was delicious. I'll have to see if I can track either of these down locally (Australia) otherwise I'll just see what else is available. I wonder if The kind of sherry that Frasier amd Niles drink is ever mentioned? Now I'm just getting silly. Occasionally I tell myself I should learn about wine, and even bought "Wine for Dummies", but I haven't made it too far! I hardly drink, but I do have a bottle of sherry I hit once every few months! I'm nowhere near being an expert, but it's more of a hobby, and handy to look back at what I thought of different wines. I only had a sip or two of wine, and decided I didn't want to taint my body any more. Did you all get nice gifts? It's not about the gifts though, ha ha. Mainly alcohol! I got a glass whisky decanter that's shaped like a barrel, and has a little working tap on it. A bottle of Lillet wine, and Deadpool blu-ray. Disappointingly, no chocolate. I'm usually swimming in Lindt Lindor!